What is DMU doing to support Research Data Management? 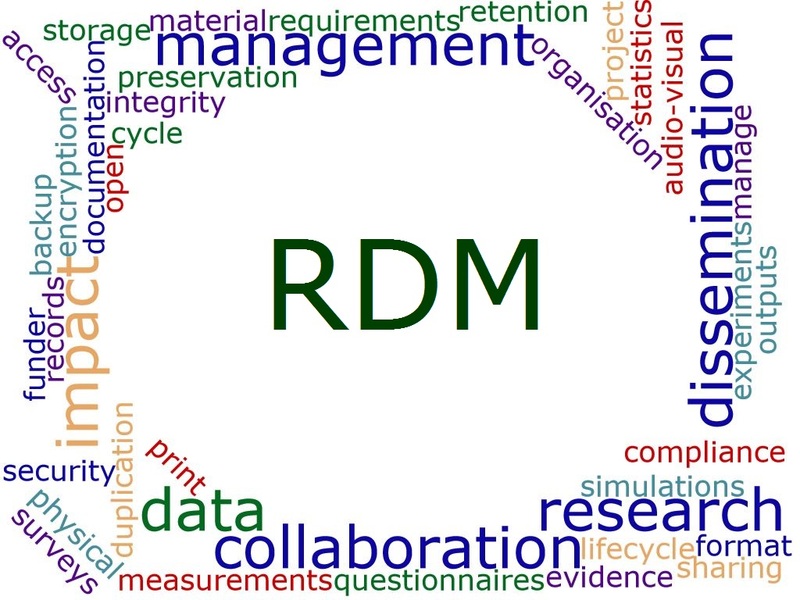 What is research data management (RDM)? A Data Management Plan (DMP) will usually be created at the beginning of a research project which will cover what data will be created, how they will be organised and how they will be shared and preserved. It is increasingly a condition of research funders that a DMP is created. 'Research data' are defined as: "records, files or other evidence, whether in print, digital, physical or other formats, that comprise a research project's observations, findings or outputs, including primary materials and analysed data collected from a third party" (Lyon & Pink, 2012). It does not include data collected for research administration purposes, such as returns to the Higher Education Statistics Agency (HESA) and the Research Excellence Framework (REF). Why make research data Open? UK Data Archive: Collection of digital research data in the social sciences and humanities and help for creating and managing your data. Data Documentation Initiative (DDI): An international standard for describing the data produced by surveys and other observational methods in the social, behavioral, economic, and health sciences. The Digital Curation Centre (DCC):Centre of expertise in digital curation.The DCC provides expert advice and practical help in storing, managing, protecting and sharing digital research data.